Alright. You've got me. These Valentine's day ideas aren't just for designers. They can be for anyone with a divine sense of taste and style just like you and me. Here's a few ideas that came to mind as I was shopping for my better half, an English major, for Valentine's day. Let's start with the edibles and get those out of the way. Everyone loves bacon, right? Ok, well at least things that taste like bacon. 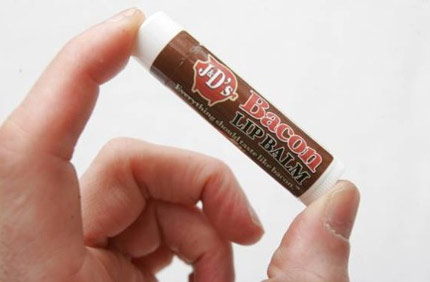 By giving your special someone bacon-flavored lip balm it's like giving yourself a gift. Just be careful not to bite down at pucker-up time. 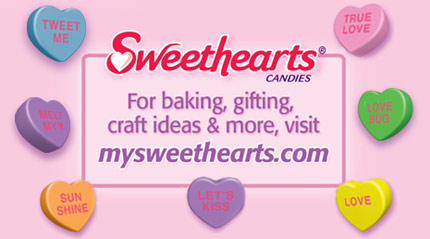 There's a newcomer added to the classic Sweethearts lineup this year. The New England Confectionary Company better known as NECCO has added a "Tweet Me" heart for all the Twitternauts out there. 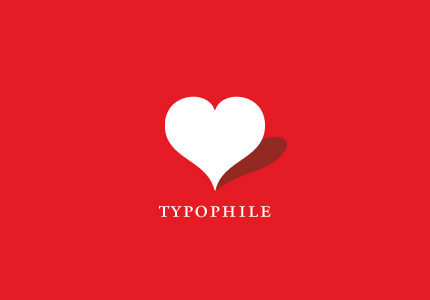 Maybe that person loves Bodoni or Helvetica nearly as much as they love you. There's always a membership to Typofile for the type-obsessed type. 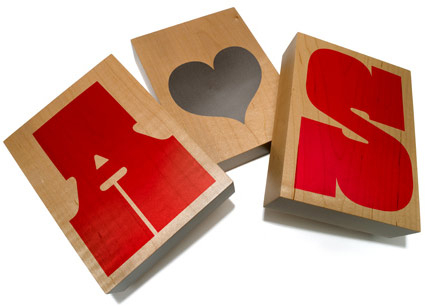 Other options for type lovers include these limited edition blocks of maple by the fine folks at House Industries. You can buy initials for both of you, connected by a loving heart. Or, if things don't work out, they'll make for good fuel to keep you warm during the cold month of February. 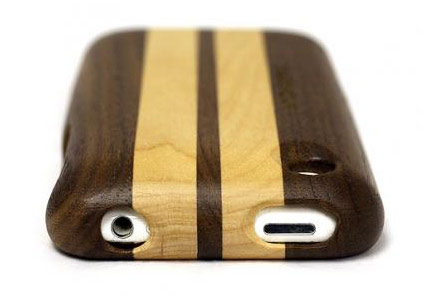 For the iPhone lover there's also this sleek wood case to protect your most precious asset. Though, take heed if you feel compelled to light it on fire. Apple afficianados are a viscious crowd. 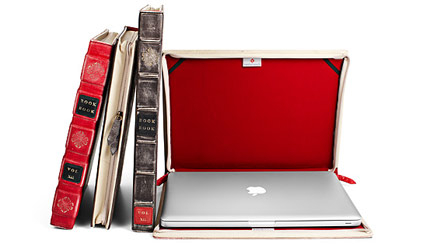 For those that love literature as much as they do their Mac, there's the BookBook. It's a leather-bound case with a classic book look and feel to protect a MacBook or MacBook Pro. It doubles as a great way to hide or disguise a laptop from suspicious predators. Designers love their Moleskine sketchbooks almost as much as their Macs. Choose from a set of artistically rendered covers or submit your own artwork for a custom cover. 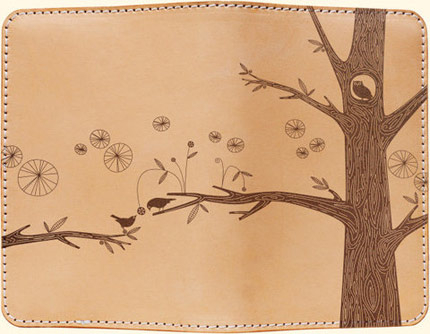 The cow it came from will be happy to know it's made with all-natural vegetable tanned leather. The fine folks at Behance, makers of the Action Pad, have finally drummed up the perfect sketchbook for me. 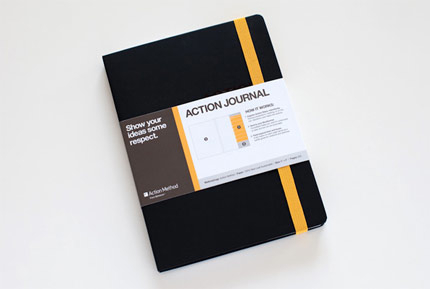 They've taken the utility of the Action Method and combined it with the elegance of the Moleskine line to create pure notetaking and sketching bliss. I wasn't patient enough to wait for Valentine's Day to start using this. If none of these ideas suit you, there's always the Boyfriend Arm Pillow or Plush Beating Heart to keep the memory of you around at all times.